When a motorcyclist is involved in an accident, the bodily harm inflicted on the operator of the motorbike can be catastrophic and even life-threatening. For example, a motorcyclist suffered horrific injuries after being involved in an accident on Pacific Street in Rocklin. Reports indicate that a Mitsubishi sedan was also involved in the collision and the driver of that vehicle left the scene, according to ABC 10 News. Unfortunately, despite an aggressive national advertising campaign that has attempted to warn drivers to be vigilant and watch for motorcyclists on the road, the rate of motorcycle accident injuries is still disturbingly high. In particular, California tends to have motorcycle-related injuries and death rates far above the national average. In fact, according to the California Office of Traffic Safety, hundreds die in motorcycle crashes each year. Unfortunately, almost all of those deaths and the thousands of other injuries are normally preventable. In most circumstances, motorcyclists are injured at least in part because of the negligence of another motorist on Rocklin roadways. Motorcycle accidents tend to happen very easily when drivers fail to look when changing lanes or turning. If a motorcyclist is injured due to the negligence of another driver, the injured motorcyclist may be able to obtain financial compensation from the driver in court through a personal injury claim. The video below provides six safety tips to help motorcyclists avoid a potentially dangerous accident. To obtain a financial recovery through a personal injury lawsuit, you need to establish that your harms and losses were caused by the negligence of the other driver. Negligence means that the offending party failed to act reasonably under the circumstances and caused your injuries. For example, if the driver of a sedan changed lanes without looking to see if there was a motorcyclist in the other lane and that caused a collision, the driver of the car will likely be considered legally negligent and thereby be required to compensate the motorcyclist for any injuries. Financial compensation can come in one of two forms in motorcycle injury cases: out-of-court settlement and trial verdict. If an out-of-court settlement is reached, the party responsible for causing the accident victim’s injuries (or the responsible party’s insurance company) will pay the injured party a pre-negotiated amount of money to compensate the injured victim for their injuries. California law provides several categories of legal damages that can be recovered including your medical bills, both past, and future lost wages and income, and your pain and suffering. If settlement negotiations are unsuccessful, your personal injury attorney should proceed with filing a lawsuit in a civil court. In Rocklin, the court that will likely have jurisdiction over your case is the Placer County Superior Court of Roseville. It is important to retain legal counsel and get the claims process started right away. Why? Because a personal injury claim must be submitted to the court within two years from the date of the accident. This is required under California’s statute of limitations. If you fail to file suit within two years, it is likely a judge will view your lawsuit as untimely and prohibit it from going forward. 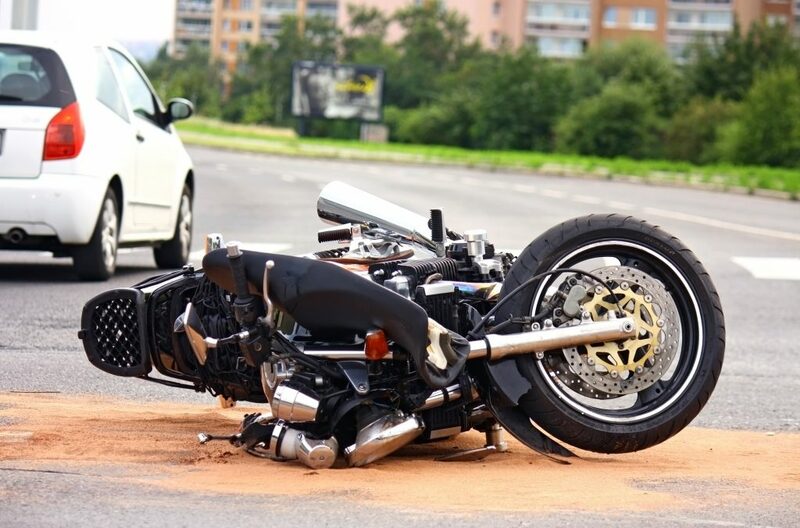 If you or a family member was injured in a motorcycle accident, you should hire an experienced Rocklin motorcycle accident lawyer to represent your interests in court and to help you file a lawsuit. I have dedicated my professional career to serving victims of auto and motorcycle accidents in Rocklin and the greater Sacramento area. I take immense pride in helping people seek compensation for their injuries and put their lives back together. I work on a contingency-fee basis, which means that I only seek payment if I obtain a financial recovery for you, typically through a settlement or jury verdict. If you have been injured, do not hesitate to contact my office to schedule a free case review. I’m Ed Smith, a motorcycle accident attorney in Rocklin. 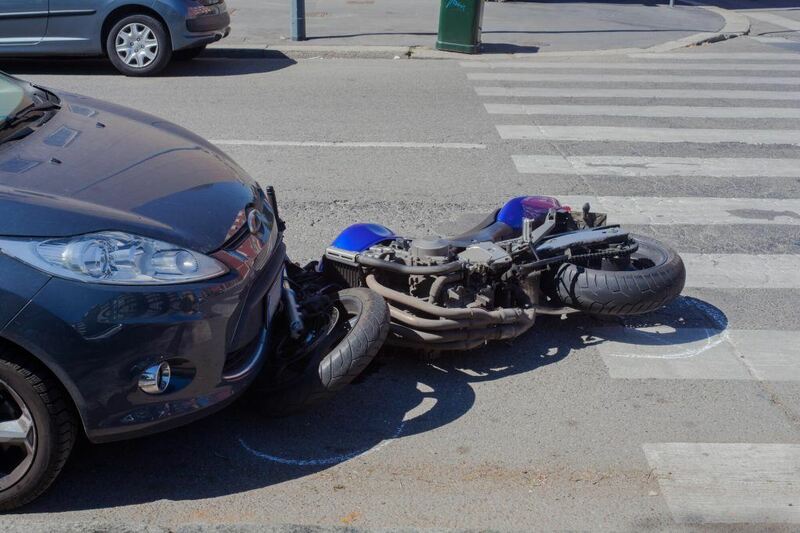 The consequences of a motorcycle accident can be catastrophic. If you or your loved one was injured or even killed in a motorcycle accident, I may be able to help. Please do not hesitate to reach out to me at 916.921.6400 or 800.404.5400 for free, friendly, and compassionate advice. I can also be reached online anytime at AutoAccident.com. I have served the Rocklin and Northern California community since 1982, helping people pursue justice after accidents. You can find some of my valued client’s reviews posted to Yelp, Avvo, and Google. My membership with the Million Dollar Forum and million-dollar case verdicts speak for themselves. Feel free to browse a selection of some of my past Verdicts and Settlements.